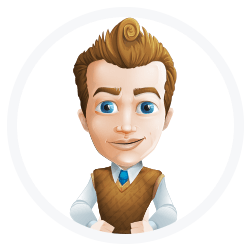 Your personal IT Guy is at the heart of our unique 'Techplan' support service. 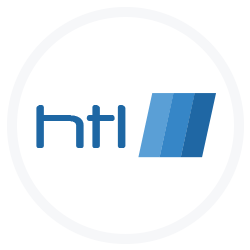 HTL Support's 'Techplan' has been proven to provide our clients with the most flexible and cost effective IT support solution available. Once we have agreed what level of 'Techplan' service is best for you, we assign one of our experienced and industry-certified IT Support Engineers to be your personal 'IT Guy'. He can be scheduled in for regular visits, or simply called upon when required. Is easily contactable – 24hrs a day. Can be relied upon to be with you fast. Maintains personal knowledge of your business, your systems, your staff and your expectations. He will blend in and feel like one of your team. He will not bamboozle with technobabble. Proactively and independently recommends and quotes for solutions as and when your business requires them. He will openly and honestly advise you whether your best option is to buy from HTL or from a third party. If the best option is to use a third party he will help you negotiate with them. Is available on his mobile, direct line, SMS, or email whenever he is on duty (as long as he is not with another client). 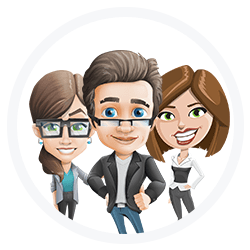 Your IT Guy is keen to help whenever he can, but if he can't pick up your call, his backup team are there, ready and able to respond instantly. Has extensive industry experience and will hold at least one certification from Microsoft, Cisco, Avaya or other major industry player. Has an Oyster Card, a Streetcar Card and a Bag of Tricks – he can get to you wherever you are! Will say Yes! From iPads to Server systems or from speaking with BT to making cups of tea, he will use all the resources at his disposal to help you. Has access to a repository of parts and loan equipment as required. Logs all activity for historical / performance reporting on our in-house database system. He can see the real-time status of service or sales orders as well as updates from any other engineer that may have been helping you in his absence. Processes orders and manages logistics. For more complex solutions, senior consultants, network architects and project managers are on hand to guide you through various options. Your IT guy will know when to call for assistance! Are available via an 0800 number 24 x 7 to handle support calls, and during office hours to handle account and sales enquiries. Includes even more specialised IT engineers that your IT Guy can consult when needed, and in the rare event that they, too, are stumped, we maintain our company certifications with key players such as Microsoft, Cisco and Avaya so their own experts are just a call away. Are standing by to help when he's not, and assign an alternative engineer at short notice if required. Schedule and prioritise your IT guys time. A 2 hour guaranteed response time to critical faults is offered to all clients in central London, so if your IT guy can't make it – one of our other engineers will! Can control your computers remotely when your IT guy is not in the office! Are waiting to help with specialised systems, arranging liaison with third party providers or consultants when required. Can arrange for same-day courier of parts or loan equipment to central London clients. Administer the database system and ensure all activity is accurately logged and escalated as appropriate.